Sometimes, it seems like you have to choose between a long, difficult hike with a great payoff, or an easy hike that offers very little reward at the end. 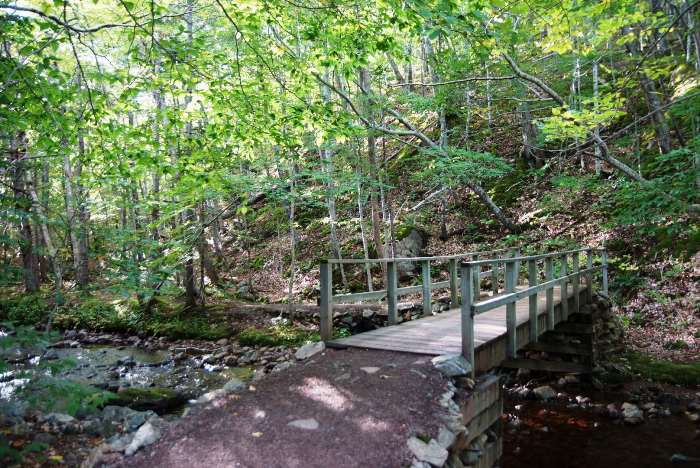 That’s not the case with the trail to the MacIntosh Brook Waterfall. 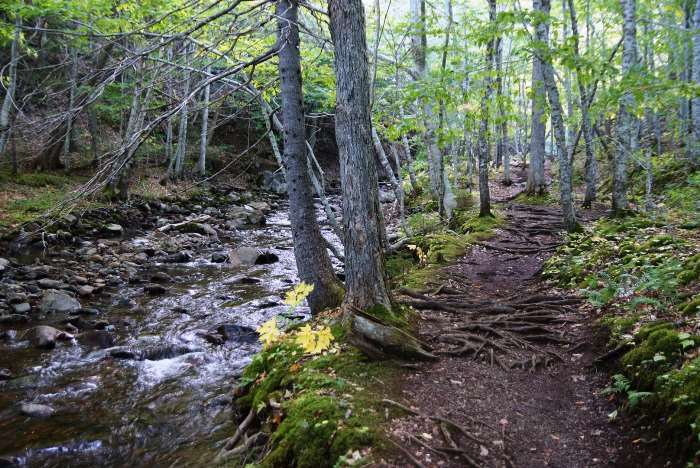 This is an easy trail that shouldn’t take you more than an hour (it’s 1.1 miles, or 1.7 kilometers, round-trip). 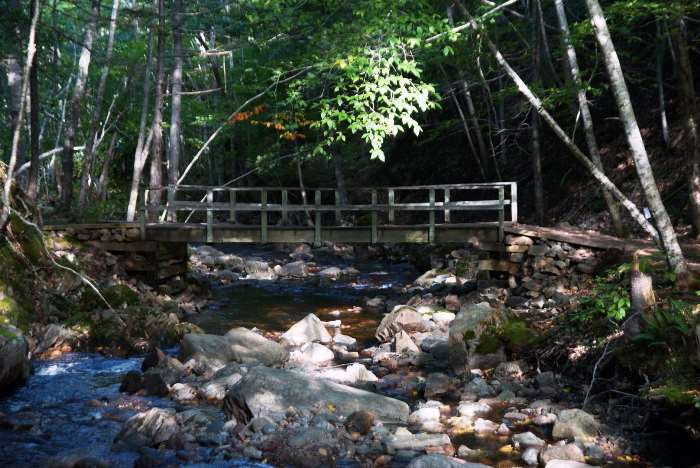 The hike through the woods is relaxing and peaceful, and when you reach the end, there’s a nice waterfall waiting for you, with at least a couple of good viewing options. 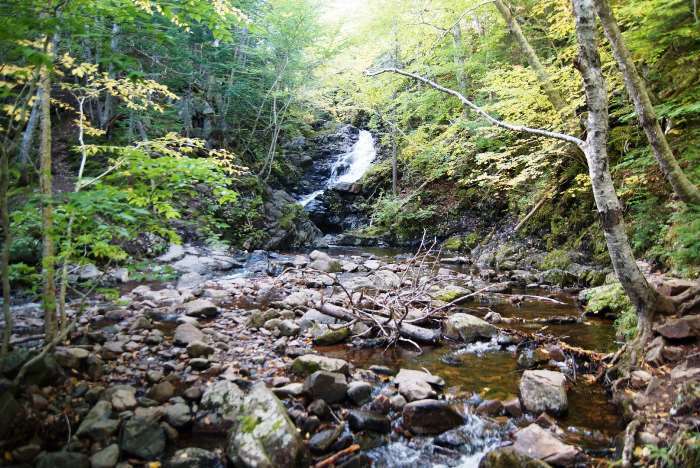 The trailhead for the MacIntosh Brook Waterfall is located just east of Pleasant Bay, Nova Scotia, on the Cabot Trail. There’s also a campground here. Because this hike was so close to my accommodations in Pleasant Bay, I decided to use it as a kick-start to my day of hiking and exploring on day 6 of the trip. …with at least one crossing on a footbridge. 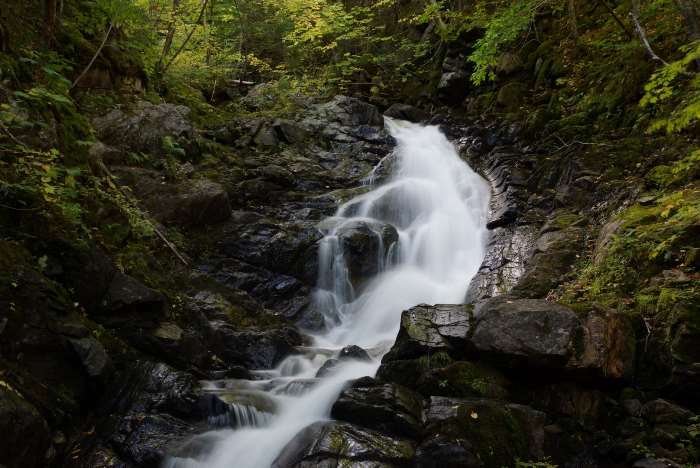 … until you reach the main attraction, the waterfall at the end of the path, only about a half-mile from the trailhead. … or work your way up the hillside, to another perch, at a higher angle. I relaxed at the waterfall for a while, then headed back to the car. This was just one of three trails I would hike on this day. 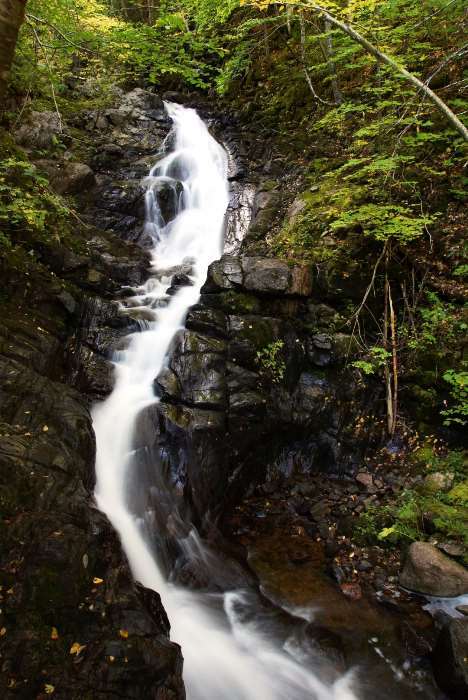 If you’re looking for an easy hike, a good family hike, a hike with a nice destination, or a warm-up hike to get you into gear for the day, the trail out to MacIntosh Brook Waterfall is a great choice.